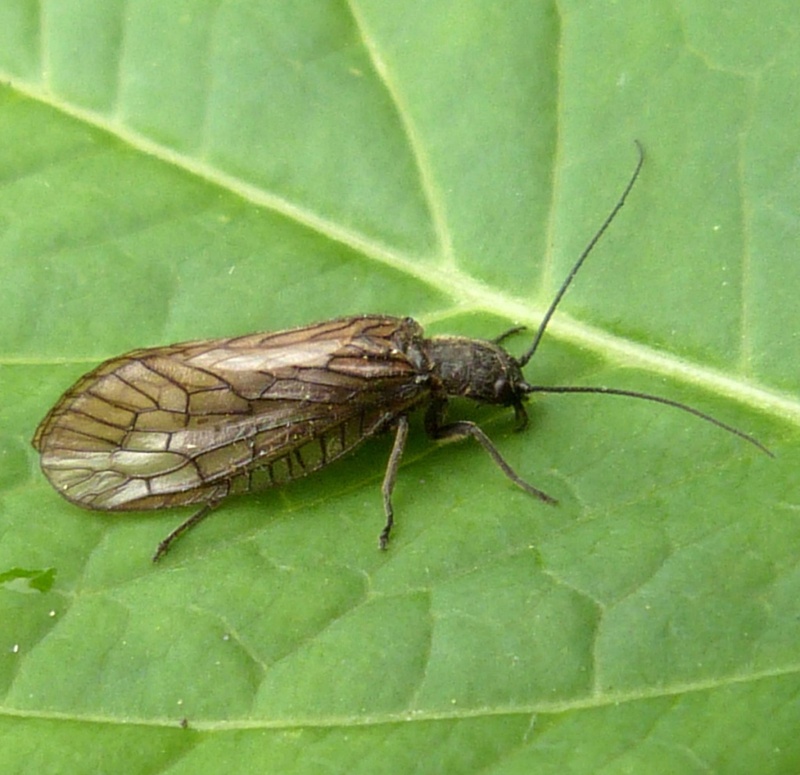 One of three similar species of Alder fly. Sialis fuliginosa seems to be restricted to areas with flowing water. Peak time is May and June. The adults only last long enough to mate and deposit eggs which are laid in large masses on vegetation near to water. After hatching the larva fall into the water where they predate on other small invertebrates. Pupation takes place in debris by the waters edge after 12 to 24 months, with the adults emerging a few weeks later. Widespread in Britain but less common and more local than Sialis lutaria. It seems to be infrequent or under recorded in Leicestershire and Rutland.